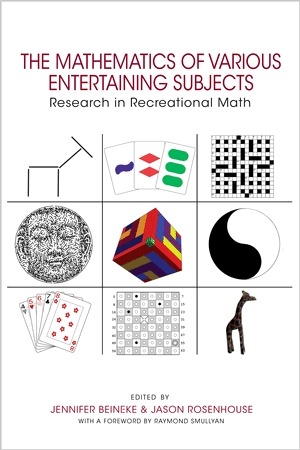 Looking at a plethora of eclectic games and puzzles, The Mathematics of Various Entertaining Subjects is sure to entertain, challenge, and inspire academic mathematicians and avid math enthusiasts alike. 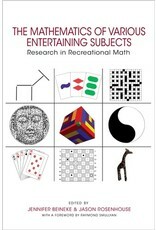 Contributors to the book show how sophisticated mathematics can help construct mazes that look like famous people, how the analysis of crossword puzzles has much in common with understanding epidemics, and how the theory of electrical circuits is useful in understanding the classic Towers of Hanoi puzzle. The card game SET is related to the theory of error-correcting codes, and simple tic-tac-toe takes on a new life when played on an affine plane. Inspirations for the book's wealth of problems include board games, card tricks, fake coins, flexagons, pencil puzzles, poker, and so much more.